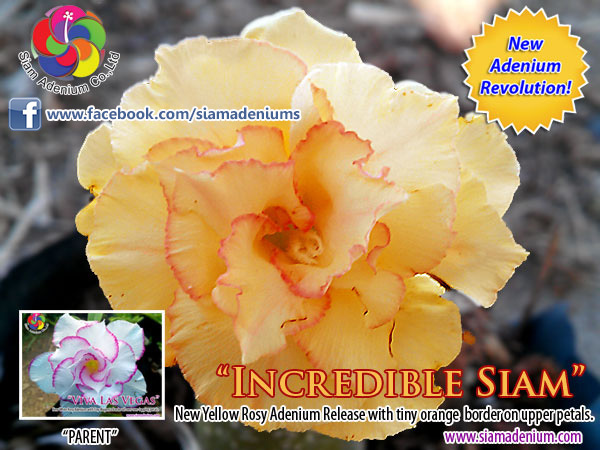 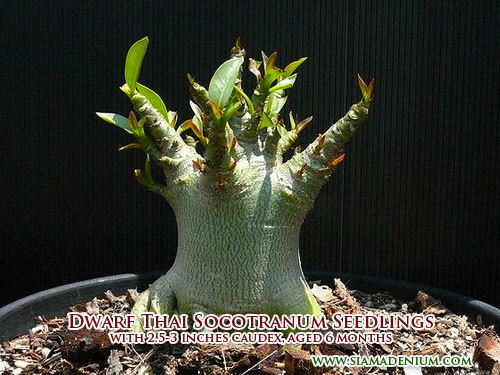 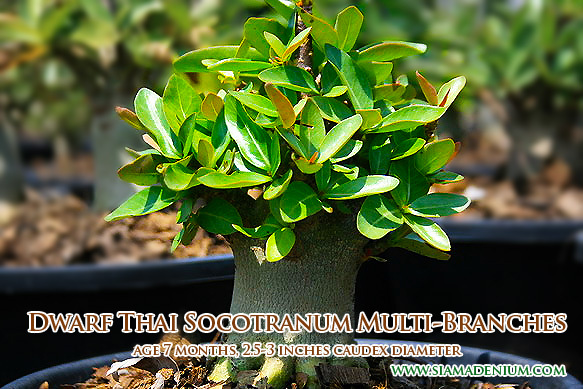 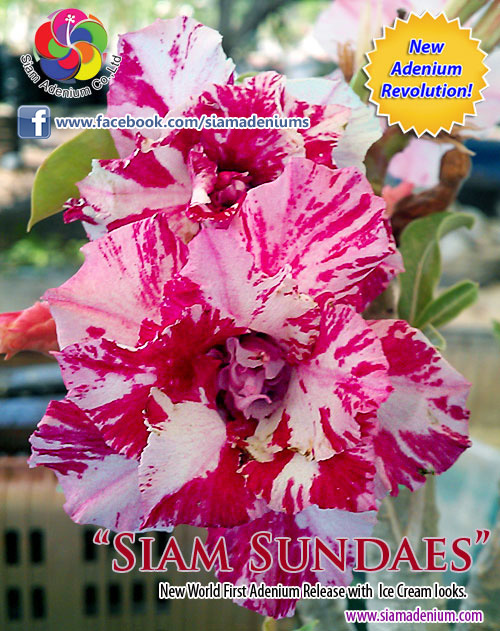 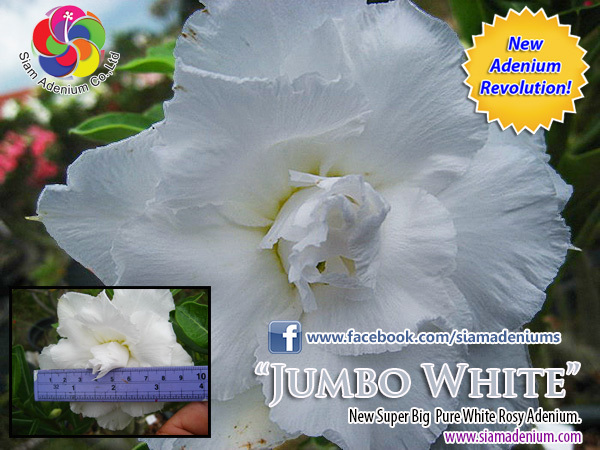 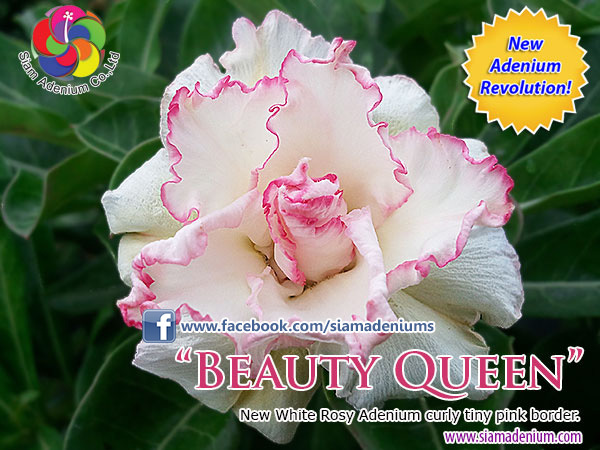 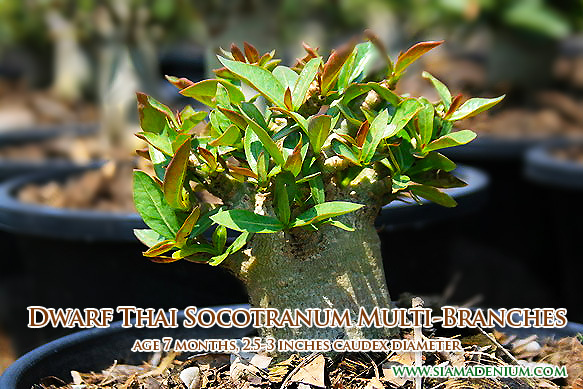 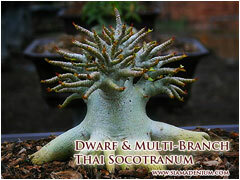 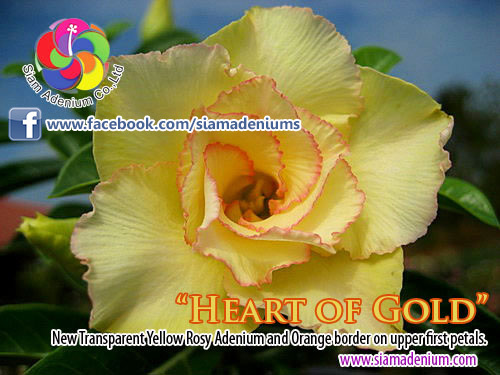 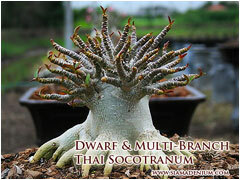 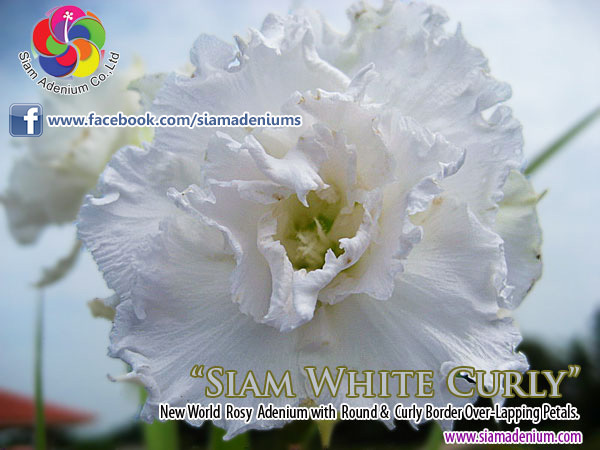 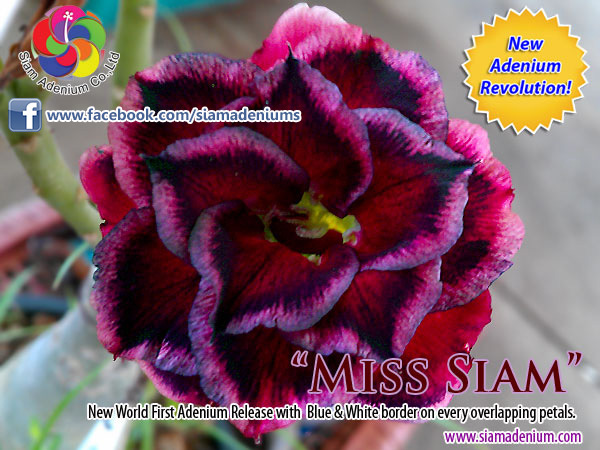 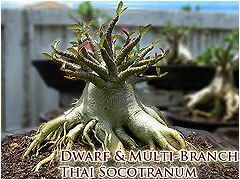 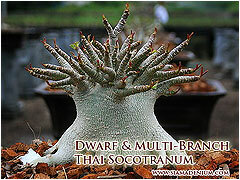 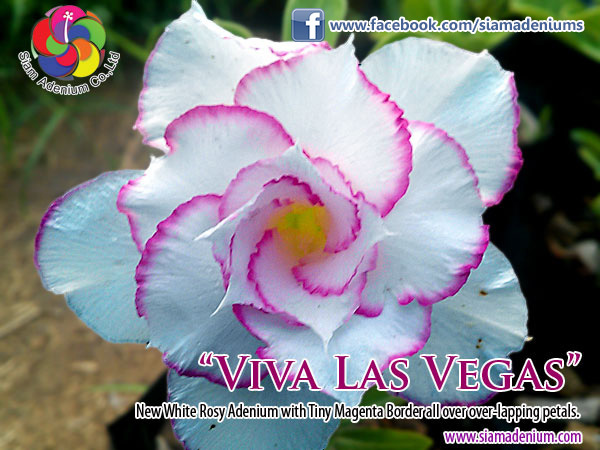 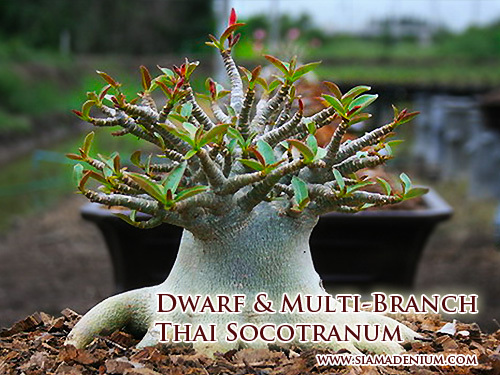 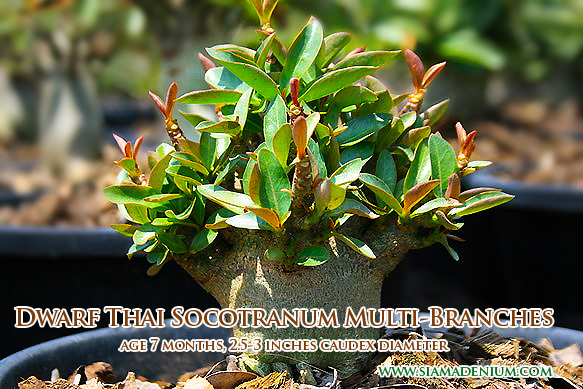 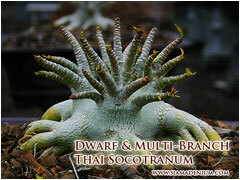 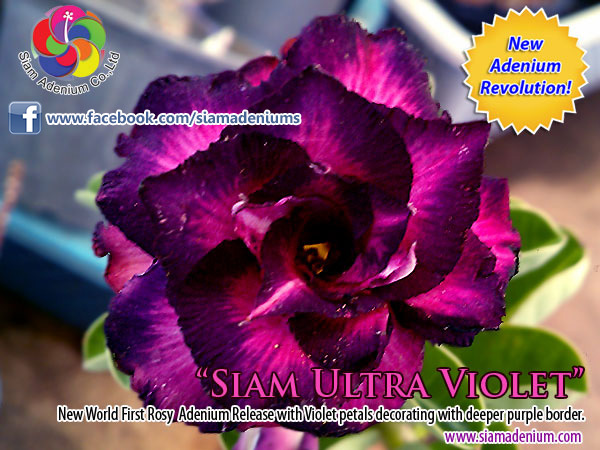 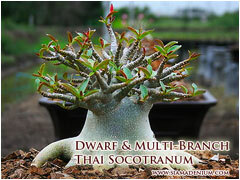 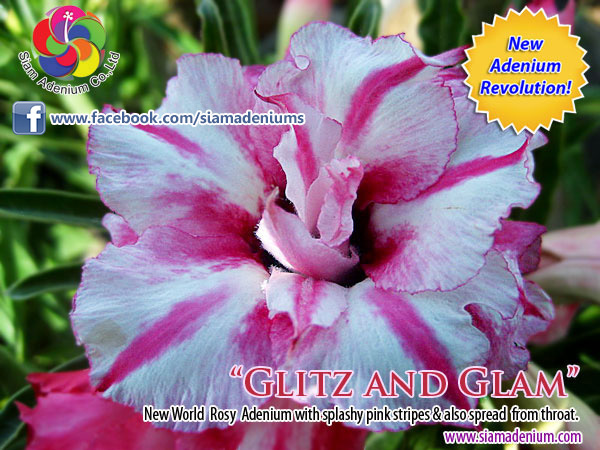 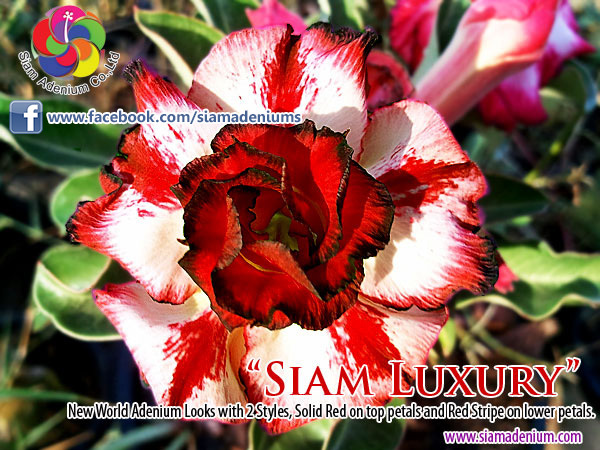 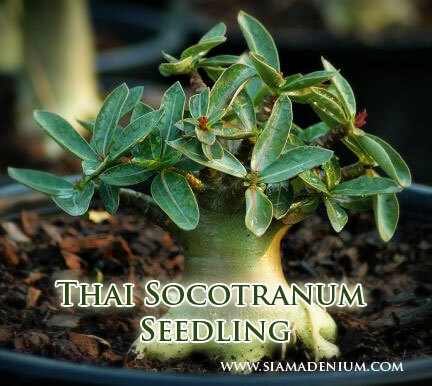 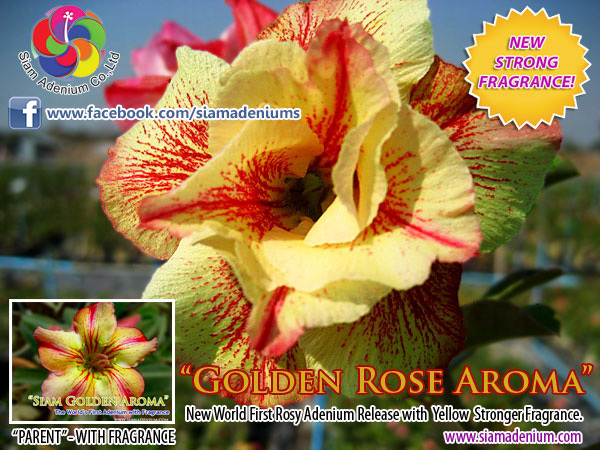 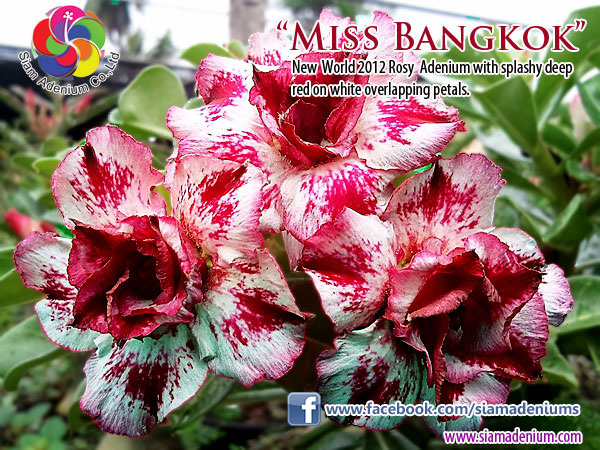 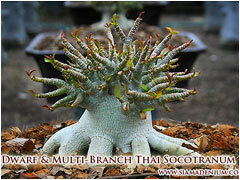 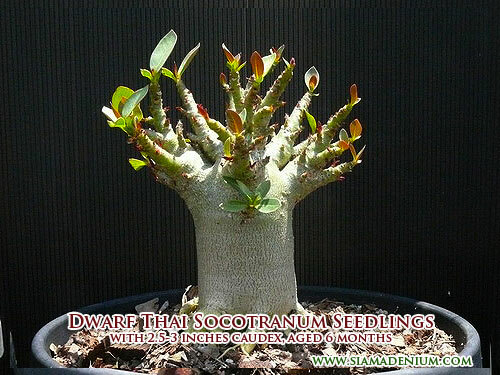 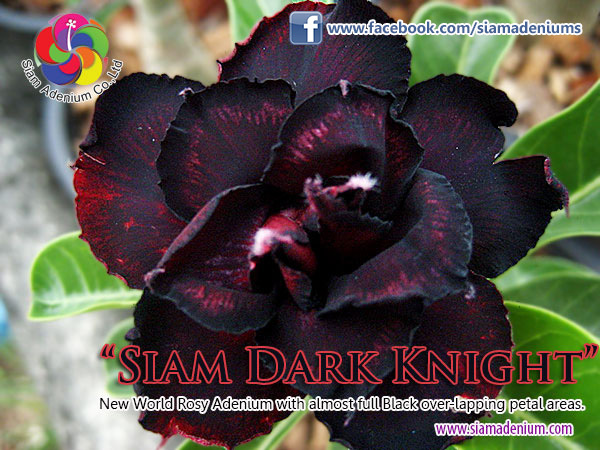 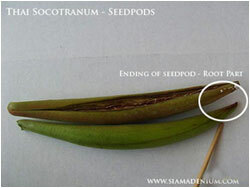 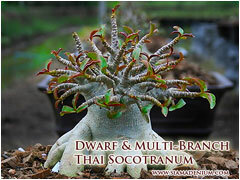 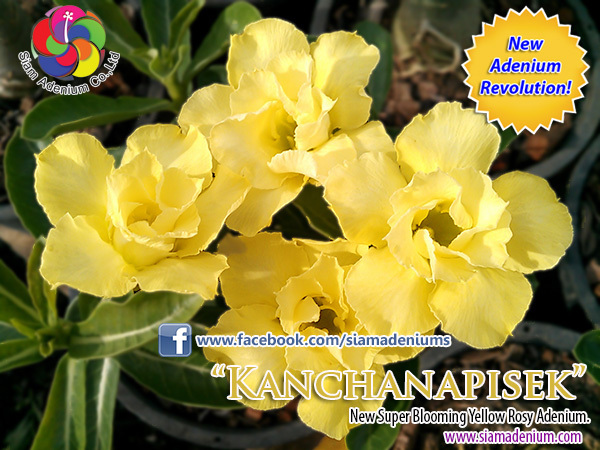 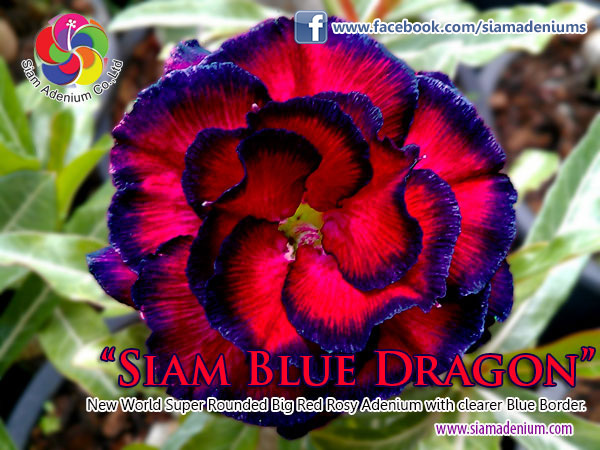 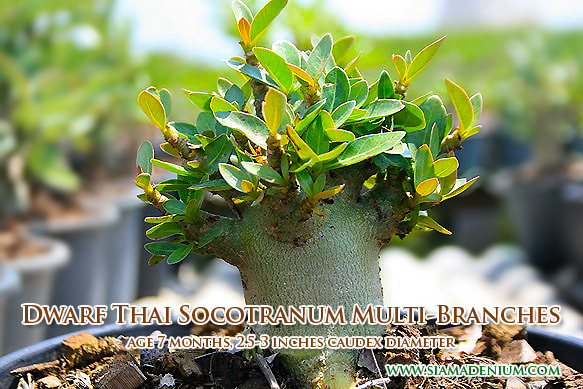 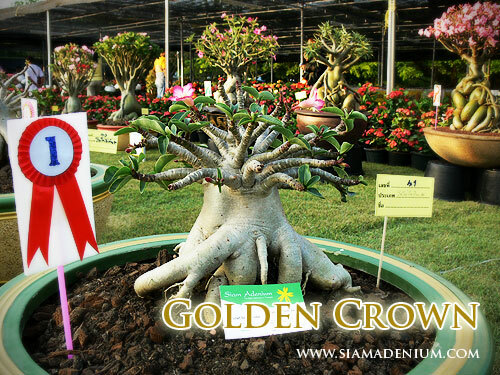 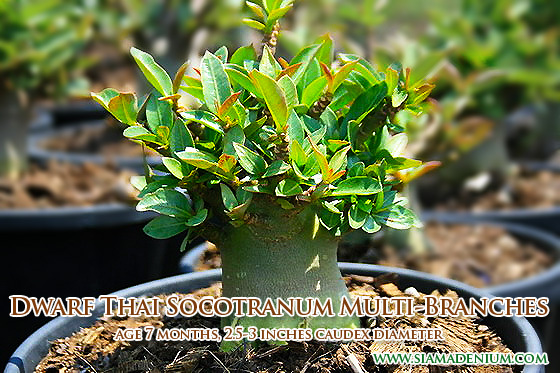 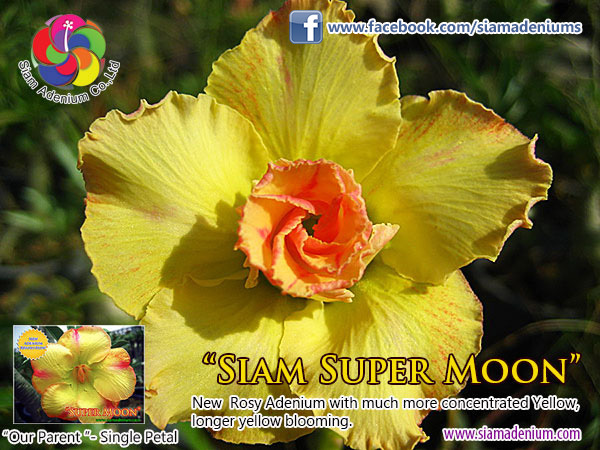 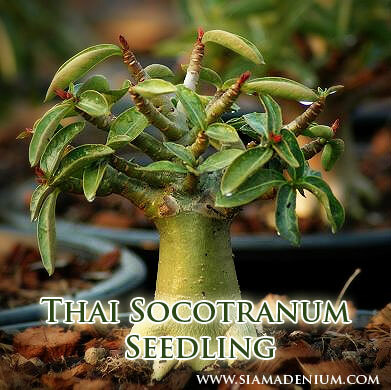 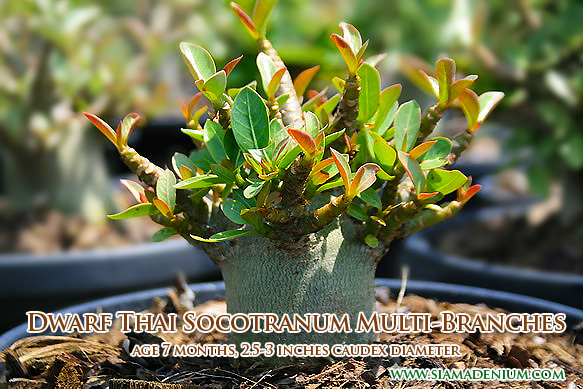 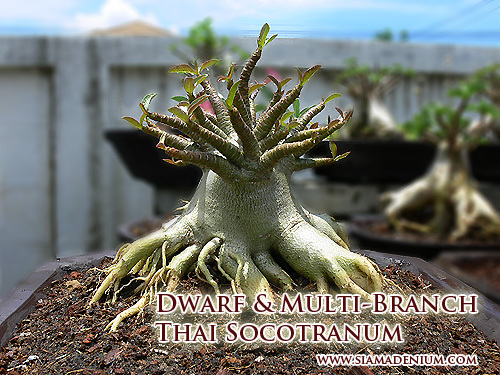 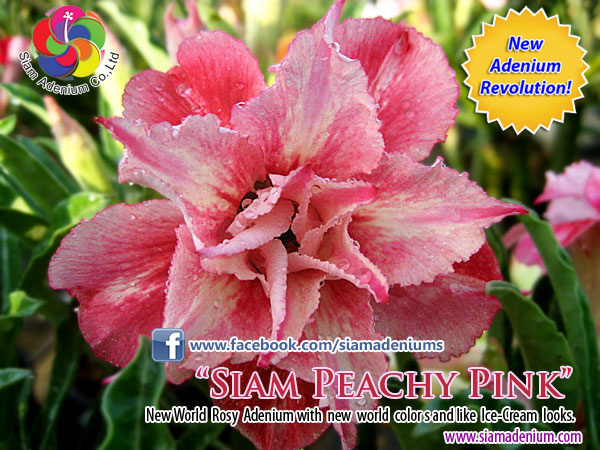 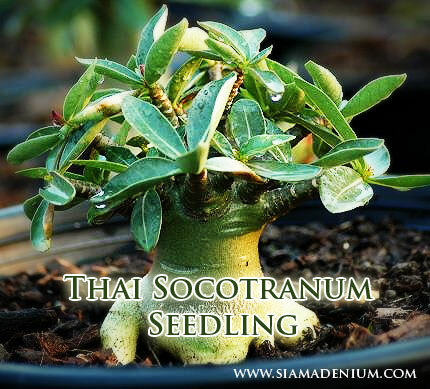 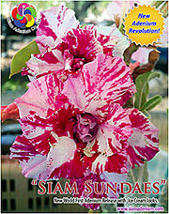 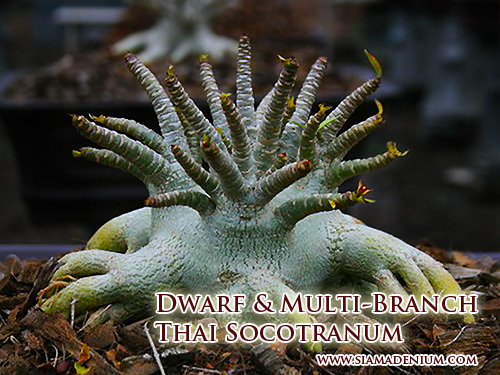 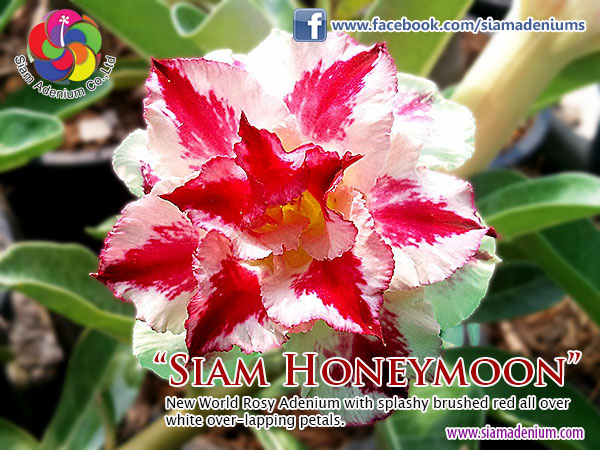 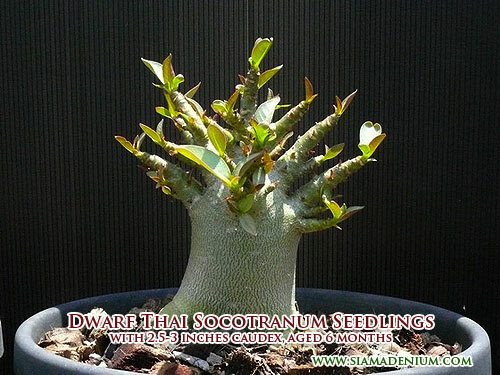 This is another new trend especially with Adenium Thai Socotranum lovers. 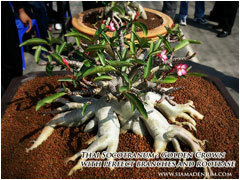 This form is also followed with Bonsai Class like Adenium Bonsai Seedlings above. The distinctive things are spread root, multi-branches or bushy form and antique caudex skin. 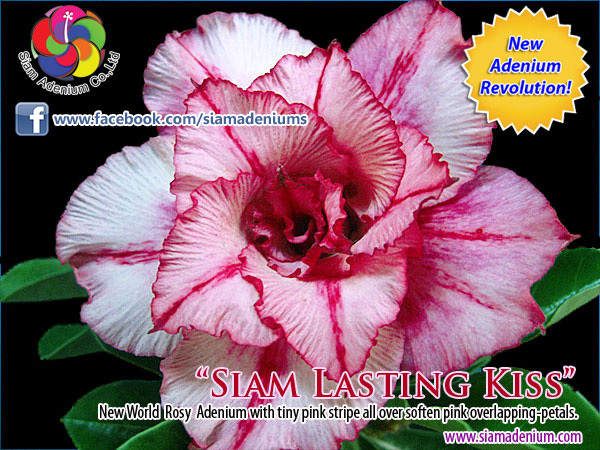 If you are serious Adenium collectors, you should not miss them! 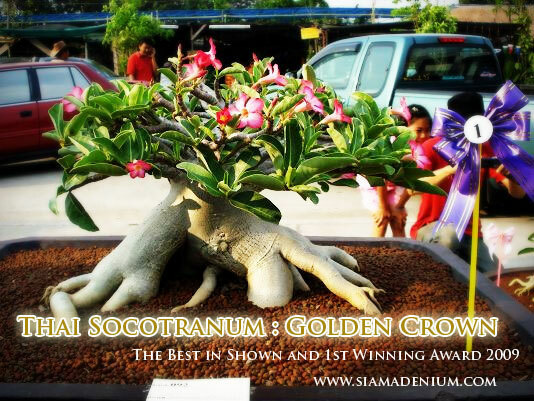 We've spent 5 years to develop adenium form by focusing on hybrid uses, growing technique and Bonsai;s knowledge to make them better form, stronger and healthier with any weather condition. 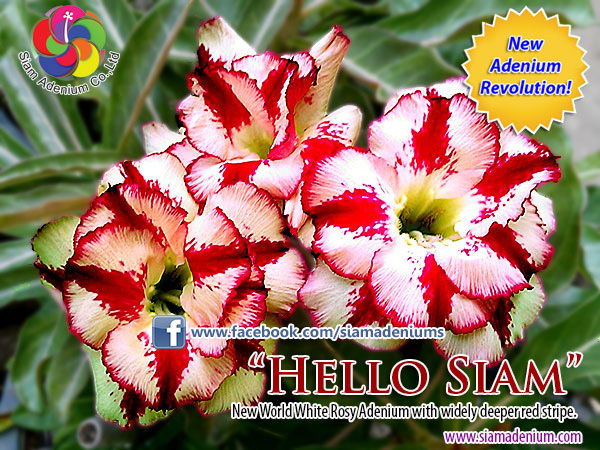 This is the last adenium form I would like to introduce. 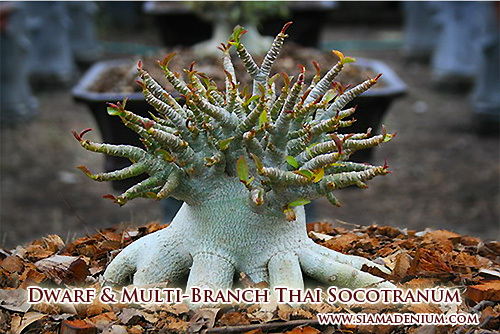 The distinctive characters for this one are symmetric branches (clear middle main stem surrounding with side branches), spread muscular roots, and antique caudex skin. 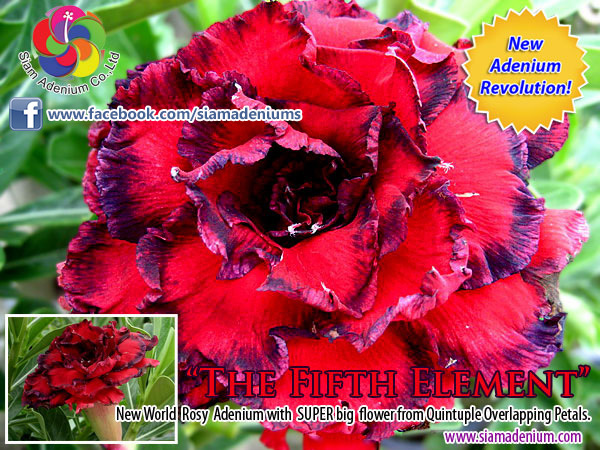 This is another form. 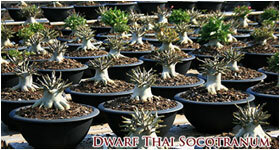 We have contest form and seedlings available. 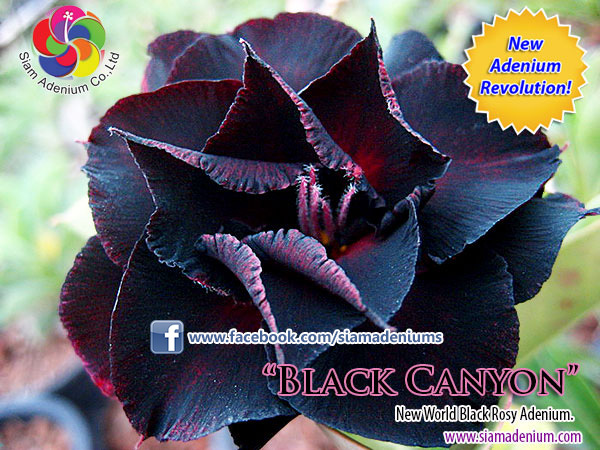 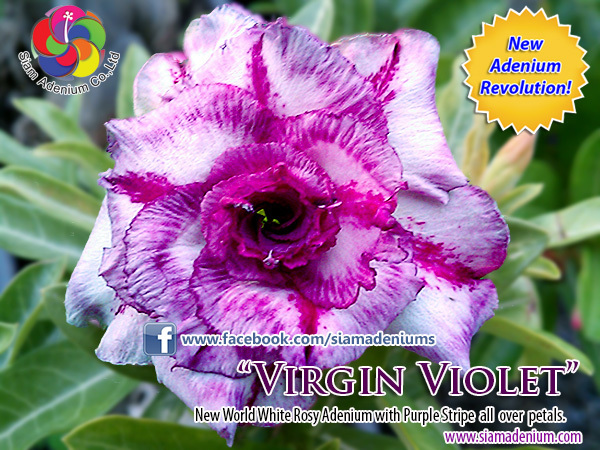 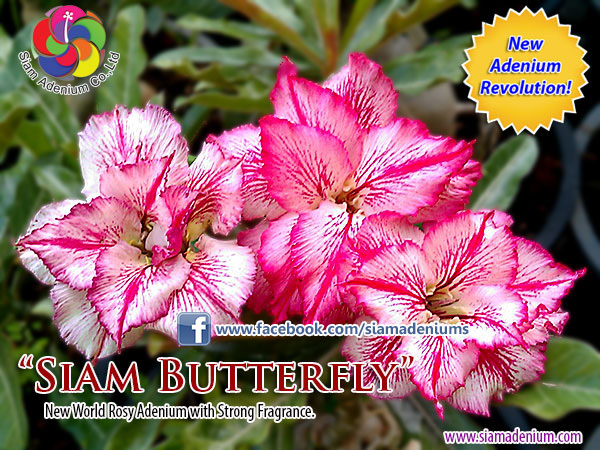 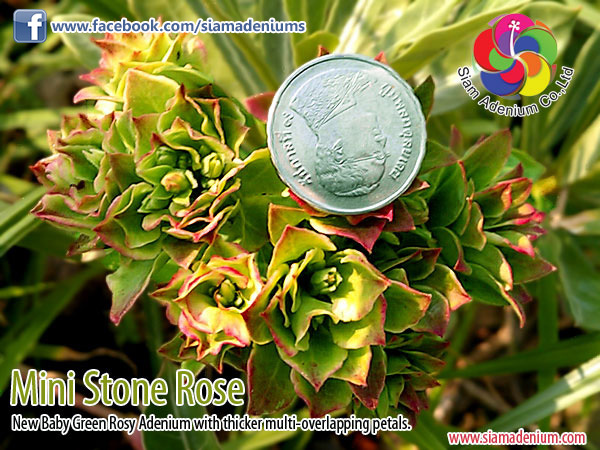 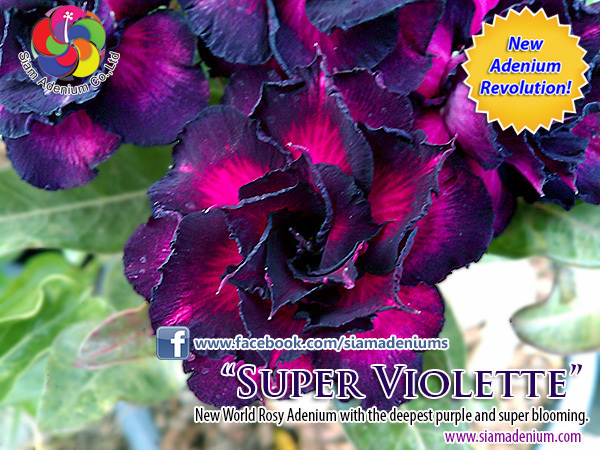 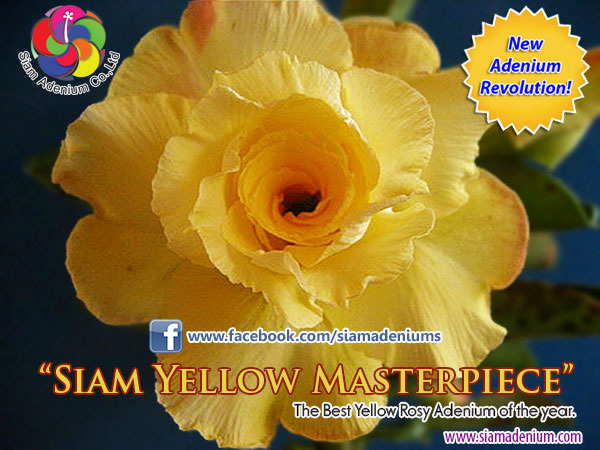 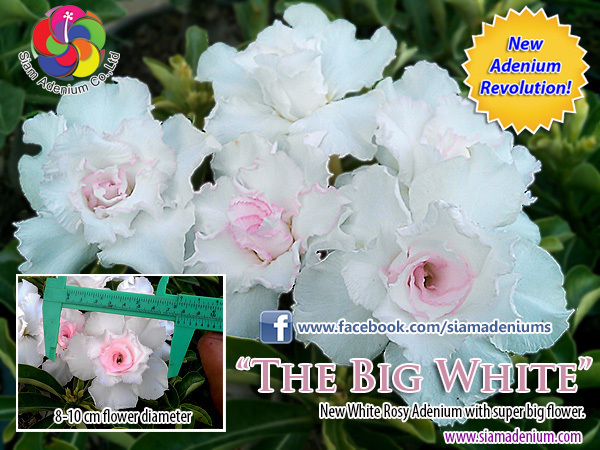 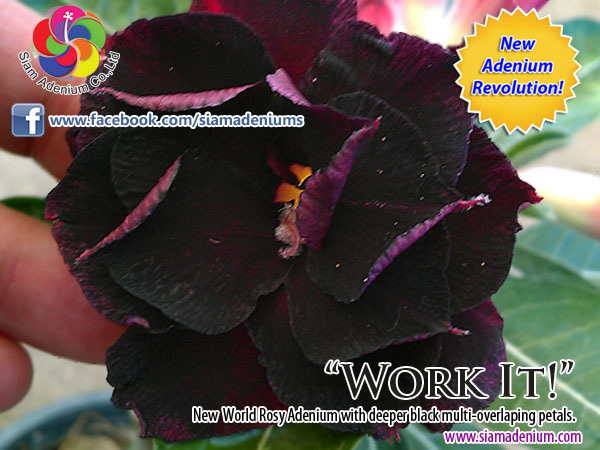 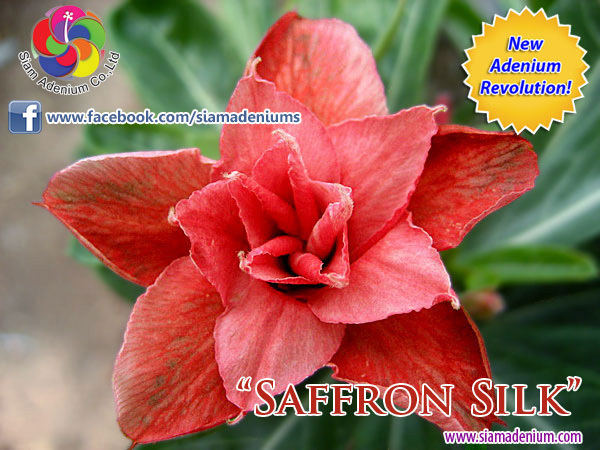 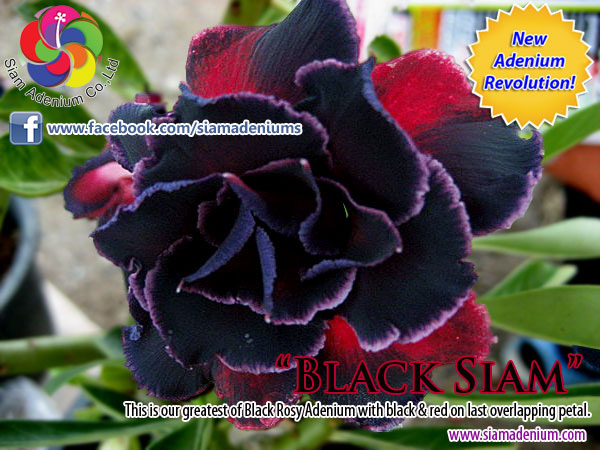 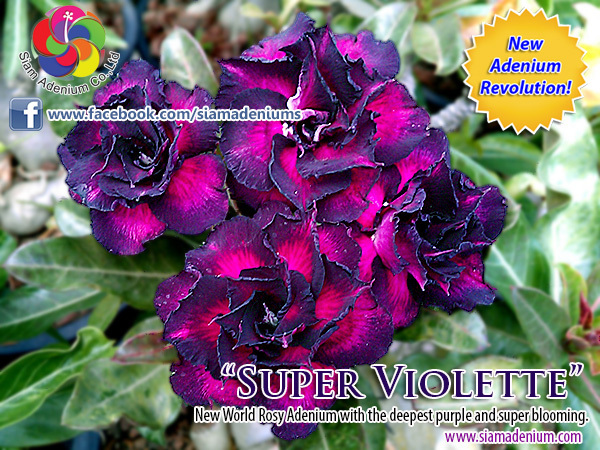 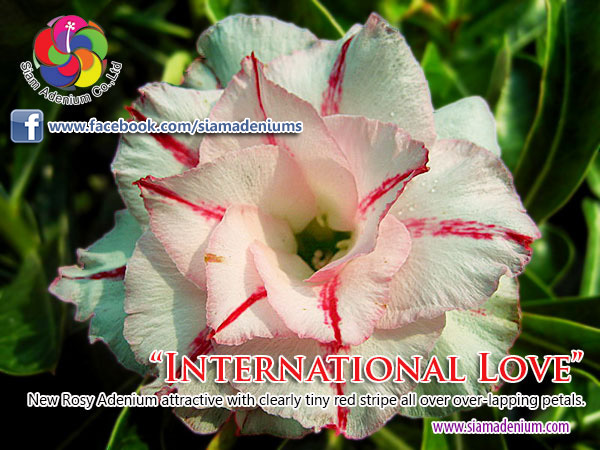 If you are serious with Adenium form, you should not miss this as well. 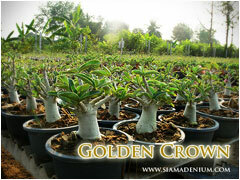 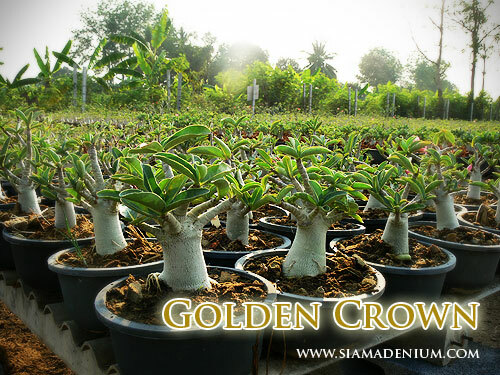 Our Grade A small seedlings: Golden Crown and Mixed Hybrid (Thai Socotranum x Arabicum). 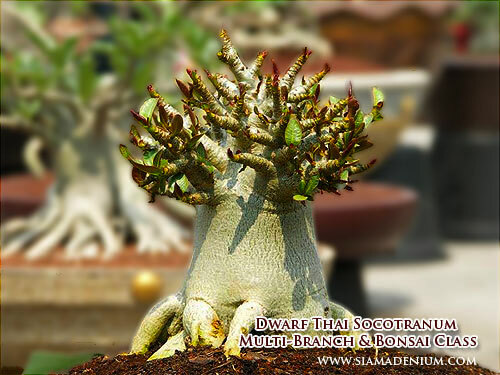 This is good for growing and maintaining with Bonsai tecnique. 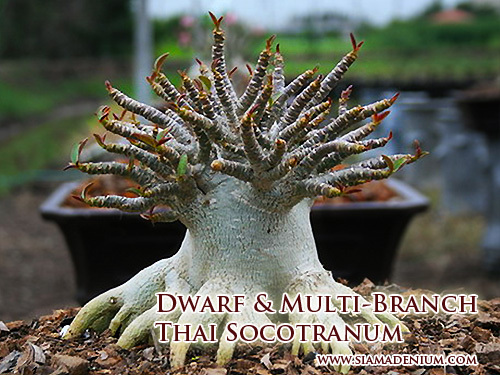 You will have fun with this.